Insurance is protection. You have it to protect your life, your health, your business, your car, your home. So, when it comes to people who perform repairs on your house, doesn’t it make sense to hire contractors who are insured? When you’re in need of a plumbing repair, you probably start your search for a local plumberby getting recommendations from friends and family or going online to find rave reviews about quality and pricing. While those endorsements are certainly part of what you take into consideration in making a choice, there’s another important qualification you should seek out: whether or not the Plumber is insured. A plumber who is properly insured takes the worry out of who is responsible if an accident occurs on your property that results in damage and/or injury to the contractor. In essence, the insurance protects both the homeowner and the contractor against unforeseen damages and costs. What Kind of Insurance Should My Local Plumber Have? Commercial general liability. Accidents can happen on the job. When it comes to plumbing, there is always a risk of water damage to the customer’s property or injuries to contractors who are working with sharp or heated tools, often while trying to maneuver in small spaces. Commercial general liability insurance covers common risks like these that can occur on the homeowner’s premises. Workers’ compensation. This type of insurance covers medical bills and lost wages for workers who are injured on the job. Maybe you’ve considered calling a local plumber whose price is tempting and has immediate availability. You’ve looked at his website and it all sounds great, but there’s no indication that he’s insured. You may even pick up the phone and ask the question, to hear that no, he doesn’t have insurance, along with a reassurance that he’s never made a mistake on a job. No problem, right? It’s also important to know that your homeowner’s insurance may not cover you for these kinds of events. Having insurance is an indication that the plumber is reputable and responsible. 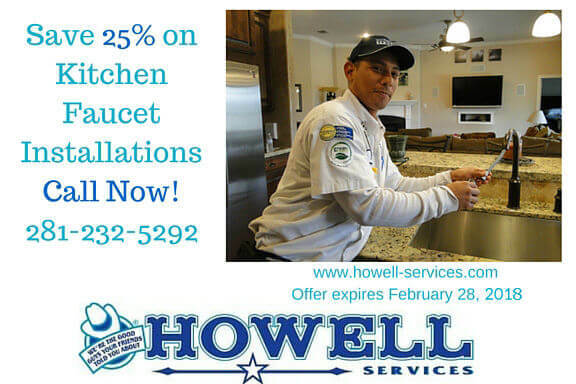 It shows concern for clients as well as employees and the company, in general.Licensed and insured, Howell Services provides reliable, quality plumbing services to residences and small businesses throughout the Fort Bend area. Call today to schedule your comprehensive inspection or repair service. The post Is Your Local Plumber Insured? Here’s Why It’s Important appeared first on Howell Services.